APC Osun begins preparation for By-Election to replace Adeleke – Royal Times of Nigeria. The All Progressives Congress in Osun State has started preparations to pick a candidate, who will represent the party in the by-election which the Independent National Electoral Commission will conduct to fill the Osun-West senatorial district seat at the Senate. 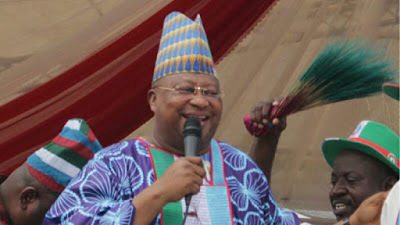 The late Senator Isiaka Adeleke, who was the representative of the senatorial district at the upper legislative body, died on April 23 and there are unconfirmed rumours that the party may pick the deceased’s younger brother, Ademola Adeleke, to contest the election.